Martin is a Director and the Chief Operating Officer of Canter Levin & Berg and splits his time between commercial and employment law and practice administration. He has over 25 years’ experience dealing with a wide range of employment disputes. Martin studied politics at York and graduated in 1984. After a few years in retail management with Virgin Records his interest in music business contracts led to a career change and he joined Canter Levin & Berg in 1988 as a clerk. Martin combined his time at CLB with studies at the College of Law and he passed his Law Society Finals with a distinction in 1991. He combines his experience in employment law with insolvency, intellectual property and company/partnership disputes. Martin is well known with local business leaders for providing practical solutions to apparently daunting business problems. 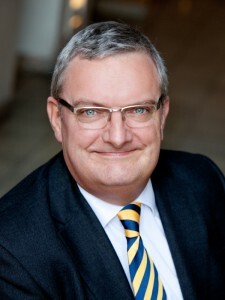 He specialises in business restructures and high level disputes, particularly those between directors and partners. Martin’s experience of dealing with business owners is focused on practical solutions with an emphasis on achieving satisfactory outcomes rather than litigating and destroying businesses with potentially crippling legal costs. To that end he also acts as an informal arbitrator with a view to resolving disputes without the need to go to trial. However, when litigation is necessary, he also takes all necessary steps to secure the best possible outcome for his clients with a reputation for identifying legal arguments which provide the maximum protection for his clients. Outside work his interests include National Hunt horse racing and Bordeaux wines as well as designing and maintaining websites (including this one). He is also well versed in TV talent shows(!) and is a keen follower of current affairs.